Dallas Rep. says Texas must prove to the nation that the red mega-state can be governed not only conservatively but well. This is Rep. Dan Branch , R-Dallas, speaking at yesterday’s day-long Texas Conservative Roundtable Policymakers Conference at the Omni downtown. There were panels on education, transportation, healthcare, the budget, water and energy. Branch, who chairs the House Higher Education Committee, and others on the education panel, recognized that Texas is a state in some peril. Branch said that on education, water, roads and power, Texas had to rise to the occasion. It was hard to know exactly what to make of the Texas Conservative Roundtable, which is only about a year old. The lead organizer of yesterday’s conference was Chuck Hahn of Southlake, a Texan of relatively recent vintage who served as chief of staff to California State Senate Republican leader, Dave Cogdill. AgendaWise last year traced some of its funding indirectly to Straus. The conference had its corporate sponsors: BP America, ANGA, Pioneer Natural Resources USA, AT&T Services, the Texas Farm Bureau, Wagner Oil, America’s Natural Gas Alliance, Hayden Oil & Gas and Gategreen Partners. From Straus, who opened the day, to critical legislators like Branch, who peopled its panels, to Lt. Gov. David Dewhurst , who closed the day, it had heavyweight participation. But to call attendance light would be generous. Never more than 50 and sometimes fewer than 20. “The whole point of this is not to have an agenda but to have a conversation,” said Dallas attorney Brigham McCown , a member of the TCR board. But, almost as soon as it was formed, TCR issued a legislative scorecard for the last session and, after it develops an agenda for this session based on conversations like yesterday’s, it will do the same for this session. 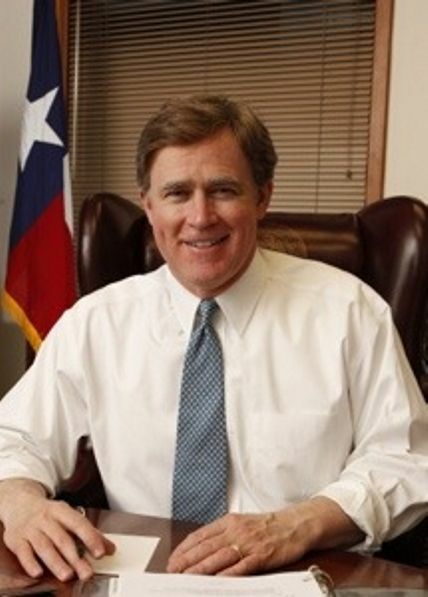 Gromer Jeffers reports in The Dallas Morning News that Branch is considering running for attorney general if Greg Abbott decides to seek another office. That’s how California Gov. Jerry Brown dismissed Gov. RIck Perry’s California radio ads inviting California businesses to relocate to the greener pastures of Texas. The Dallas Morning News’ Wayne Slater reported that at media availability at a UPS distribution center Tuesday, Brown said the measly $24,000 radio ad buy, paid for by TexasOne, a public-private partnership, was too piddling to be taken seriously. “If they want to get in the game, let them spend $25 million on radio and television. Then I’ll take them seriously,” said Brown.